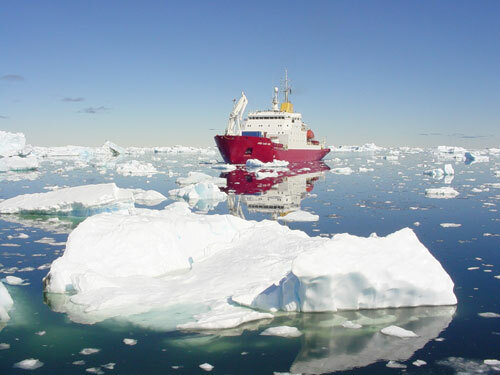 In the winter (Austral summer) of 2003/4 I embarked on an ambitious musical project in Antarctica, having been awarded a joint fellowship from Arts Council England and the British Antarctic Survey’s Artists and Writers Programme. 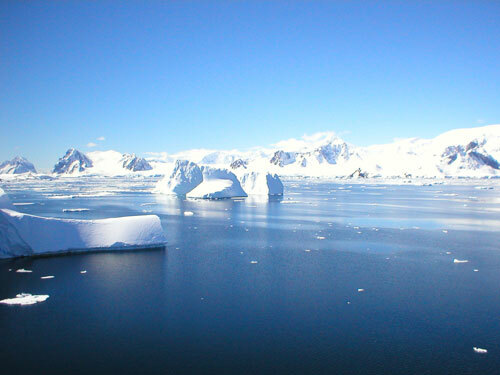 The purpose of my visit was to compile a unique library of field recordings from the Antarctic and sub-Antarctic regions, which would become the sound source for music composition. I journeyed to far and desolate lands, recorded colonies of penguins and seals, flew to isolated huts deep in the Antarctic Peninsula, and smashed through pack ice aboard an ice strengthened ship. I experienced the euphoric highs and the mind-crushing lows of solitude, the overwhelming presence of all who had come and gone, together with the realization that I was, as a human and an artist, a mere speck on this planet. 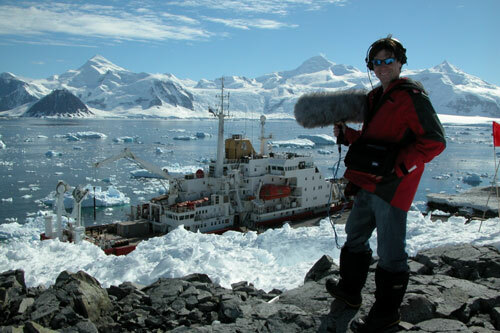 The main artistic product of my three-month journey is Antarctica (earthear.com), a large-scale surround sound electroacoustic composition, created from this sound library compiled during my residency. 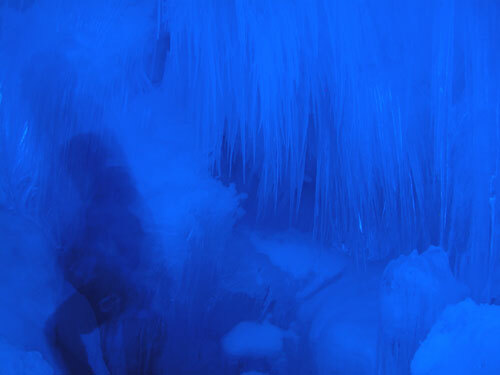 Described originally as “theatre of sound”, this piece was created as a sequence of scenes, immersing the audience in a three-dimensional sound-scape of Antarctica. This album presents new audio elements not previously heard before. 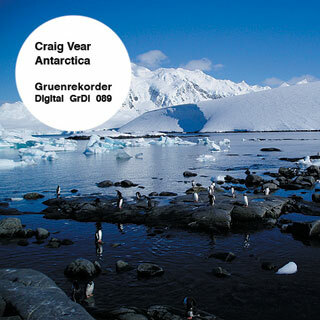 UK sound artist Craig Vear works in contemporary, improvised and electroacoustic music field. He awarded a joint fellowship from Arts Council England and the British Antarctic Survey’s Artists and Writers Programme. So he went to the Antarctic Peninsula in the winter (Austral summer) of 2003-2004 to record field recordings for the source for music composition. 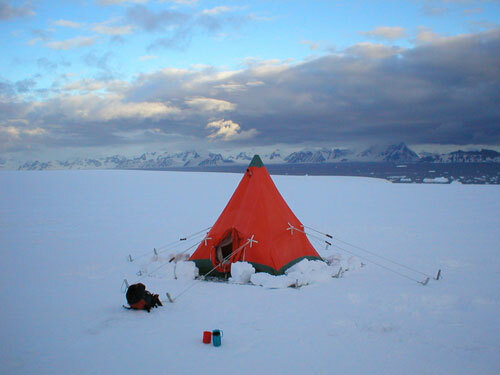 Vear concentrated in the relationship between the British Antarctic Survey (BAS) and the continent and the life and people that live in the area surrounding the Weddel Sea. So the recordings captured wind, sea, weather and wildlife, the human sounds of scientist’s conversations, mechanical sounds like machinery, generators, boats and the phenomenological sounds like wind whistling, clanking objects, crunching ice floes, among other sounds. This is the real soundtrack of a unique place in the earth which deserves all care and admiration by the natural state in which it is. Das entlegenste Naturereignis findet seine akustische Beobachtung. Das Plätschern des eisigen Meerwassers, die zentimeternah beobachteten Wellen. Dann die Eisformationen, das Knirschen der Schollen, der Schnee und das schier unendliche Rauschen des Windes. Schließlich, der Auftritt der Pinguine. Im Winter 2003/2004 schiffte sich der britische Musiker Craig Vear, unter anderem bekannt als ehemaliger Drummer und Percussionist der Gruppe Cousteau, mit Unterstützung eines Stipendiums des Art Council England in Richtung Antarkis ein, um in den Weiten dortiger Naturlandschaften Fieldrecordings zu erstellen. Ziel war es neben physikalisch/akustischen Phänomenen und der Abbildung der Fauna auch die Lautsphären der dort arbeitenden Wissenschaftler einzufangen. Craig Vear schafft mit den nun veröffentlichten Auszügen seiner ausgedehnten Dokumentationen ein akustisches Naturkundebuch der Antarkis. Allein das ist schon lobenswert. Auch wenn seine Aufnahmen immer wieder mit den Unbilden der Windgewalt zu kämpfen haben, was wahrscheinlich ein Hinweis auf die besonders schweren Arbeitsbedingungen auf diesem Kontinent ist, leistet Vear Pionierarbeit Immerhin sind es neben dem Track „Uranus Glacier“ gerade die Aufnahmen von Wind und Sturm „Katabatic Wind (Sky Blue)“ und der letzte Outtake “R.R.S. James Clark Ross hold #2 (Lemaire Channel)”, die das besondere dieser Veröffentlichung markieren. Diskussionsstoff um die Frage: Wo verlaufen die Grenzlinien zwischen akustischer Dokumentation und musikalischer Arbeit?